CODE is built on the simple foundations of “style, quality, value and speed” and offers discerning brand-aware consumers the latest trends and real-time fashion, in a customer centric environmment. 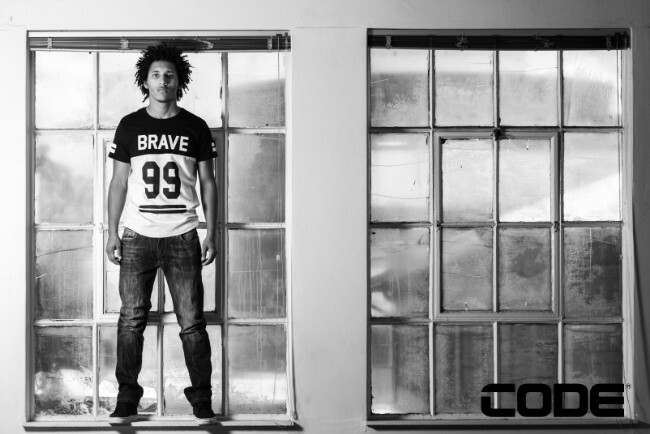 The CODE Brand speaks to Millennials, the born free generation of young men, who live, eat and breath through their mobile phones and absorbs all things fashion and trending via the internet and social media. They are extremely brand and quality aware, yet demand value and “they want it now”. jackets, hoodies, tees and shirts ensures that CODE offer’s its customers a complete Look, all on-trend, yet affordable.